I am Rodel L. Portulazo, artista*, 34 years old, and hails from General Santos City. Since I graduated from high school, I had already started to work and earn a living to help in the family expenses. At an early age, I had learned to falsify my birth certificate just to get hired in companies that deny work to minors. At age 16, I was hired as sales representative by LUX Marketing (ELECTROLUX) Company, because I made them believe that I was already 18. After about 10 months, I had an opportunity to work at another job. I also had a chance to study in college and took up a two-year course. I have always believed that any educational attainment will further improve my chances of providing for my family. My job brought me to another city of Mindanao, Davao City, and from there I traveled to Manila. Still not contented, I attempted many times and tried my luck at applying for jobs abroad. I waited for months and years. Meanwhile, I worked in a photography studio even if I did not have the skills in handling a camera. Since I came from the province, people would always assume that I was kind and responsible. In one of my attempts at finding a job abroad, I was victimized by an illegal recruiter in one of those placement agencies in Malate, Manila. The work was supposed to be in Korea. I had lost more than PhP 40,000.00 to them. It was such an unlucky time for me. Also hoping for a better life abroad, my sister joined a foundation that matched Korean men with potential brides. She got lucky and easily got married to a Korean. She encouraged me to apply for a tourist visa so I could go to Korea but I was denied. The consular officer told me that parents are the first priority and not siblings. Hence, after my mother was able to visit, another sister and I were able to go as well. We were only allowed to stay legally in Korea for three months. I had a fiancé’ back home then and I had asked for her hand in marriage. I had not expected my visa to be granted. I never planned to overstay; but, I wanted my siblings, nephews and nieces to finish their education. My sister who had accompanied me to Korea had married an Indonesian. I became the sole bread winner for our family. I chose my family over my own personal happiness but God has been so good and has blessed me in so many ways. Most of my nieces and nephews were able to finish college. Moreover, I was also able to build a house for my parents. Since most of my younger siblings have settled down, the family has relied on me to provide for our parents’ needs. It has been more than seven long years now since I became an artista. Quite unlike what others think, life in Korea is difficult. My life consists of working, staying home and going to church. There are only a few opportunities for going on vacation and these are during holidays when only a few immigration officials are on the lookout for artistas. Nevertheless, I never lose hope and my situation was never an obstacle for me to join groups and community organizations to be of service. I do volunteer work, taking care of Korean women at the home for the aged, run by the nuns of the Missionaries of Charity. I am an active member and was elected P.R.O. of the Gwangju Filipino community (GFC). I also serve as official photographer during church events and other community activities. I also help at the CARITAS Gwangju Catholic Migrant Center. Each year Filipino migrant workers and their families in Gwangju would come together for summer games, friendship games, and other fun activities. I also gained recognition as a photographer because of my fondness for taking pictures and posting them on social media. 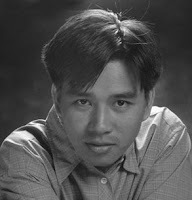 I became part of FILIPOS or Filipino Photographers in South Korea, based in Seoul. I came to meet so many amateur and professional photographers in the group. We exchange ideas on photography through Facebook and we have annual workshops during the Chuseok (Thanksgiving) holiday. In time I got to know another Gwangju resident who is also into photography. Since FILIPOS is based far away from us, we decided to start our own local group. I became one of the four founding officers of our photo club we call Junior Photographers Explorers of Gwangju (JPEG). (JPEG is affiliated with FILIPOS). Our organization continues to maintain its steady growth. The activities of the photography club helps alleviate my stress from work. It particularly relieves me of my homesickness since I feel I am in the Philippines when I am surrounded by Filipinos. Life abroad can get so weary that you need to do something to overcome the sadness of longing for home. Homesickness is a mix of joy and sadness. It has been seven years of not being able to go home to a country with a better climate. Korea has four seasons and the beginning of autumn in the months of September and October, signals the start of very cold weather. It is a difficult time for me - cold in the morning, warm at noon time, and cold again at night. I would get sick because of the allergies I develop during this period. Work becomes doubly hard when one is ill. It is also so expensive to get hospitalized if you do not have a health card. I am fortunate though that generous individuals would lend their health cards to lessen the pain in my body as well as my pocket. Still, despite my sickness or ailments, I would always feel safe because I know that God is always protecting me. Most people here are busy with their work in order to survive. Even if I have a sister in Korea I cannot rely on her even when I get sick. She just manages to call or send text messages. She can only visit me on a Sunday if I am in the hospital. It would be just a bonus if she has time for me since she also has her own life and her own family to care for. Because of my desire to be of help to my family, I have had to endure all these obstacles and hardships of an undocumented migrant worker. The fiancé whom I truly loved and left behind is now married with children. I, on the other hand, have remained single and looking for another woman to love. 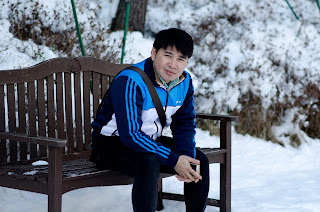 Still I am enjoying my life as a bachelor especially here in Korea, where there are so many beautiful places to enjoy and activities to do. But the uncertainty of an undocumented alien remains my biggest concern. Documented migrants get free food, housing and other benefits, while an artista has to pay rent, water and electricity. At times I just manage to eat once or twice a day. I would be lucky if I get to eat dinner because I would already be too tired and sleepy by the time I get home at night. My only advantage is that I get to choose where I can work. If I do not like the work arrangement and management, I can readily leave and look for another company to work for. In fact, in a span of a single year I moved to at least five companies because of communication gap. It is not easy to work with Koreans if you cannot communicate well with them. It is a must that you have a working knowledge of their language before coming to Korea. Otherwise you will hear but not understand all the bad words and expressions they can say. I do not easily give up because of the difficulty of the job. I surrender because of job- related stress, in particular, if I am at the receiving end of bad mouthing and harsh words in front of my co-workers. If one has a very weak personality he/she will not last and may even end up in the mental hospital. I am not constrained with my status as an artista. Having come to terms with my situation, I have no more qualms if ever I get apprehended or even arrested. So I continue to live just like any other migrant worker here. But I thank God because of His blessings and His mercy. I have faith that He will always guide me and give me the courage and determination to help me overcome all the challenges that come my way. I live it to luck and pray to God that I be given the courage to surrender, at the right time, on my own accord. May the good Lord have mercy on me. Thank you for reading the story of my life as an artista here in Korea. God speed… Fighting! Rodel L. Portulazo, factory worker, South Korea. Selfless, he gave up a lot of his personal interests to perform his role as a dutiful provider for his family. His present situation as undocumented worker does not deter him from pursuing his passions: interests in photography and church volunteer work. After working undocumented in South Korea for almost a decade, he is now looking forward to see his homeland, the Philippines.